Transport expert Christian Wolmar has said that spending money on roads instead of railways is “pouring money down the drain”, after Chancellor Philip Hammond announced last Monday a new £28.8 billion fund to improve the UK’s road infrastructure and build new ones. Mr Wolmar told talkRADIO’s Julia Hartley-Brewer: “There is an awful lot of money being spent on roads which anyone who works in Transport knows that just building more roads is an absolute hopeless way of spending money. “It just pours money down the drain and immediately the roads fill up. “You get more traffic jams and encourage more people to drive. Mr Wolmar also attacked the Transport Secretary Chris Grayling who is claimed to have said that the second phase of HS2, which was to run from Birmingham to Leeds, was not “in the bag”. 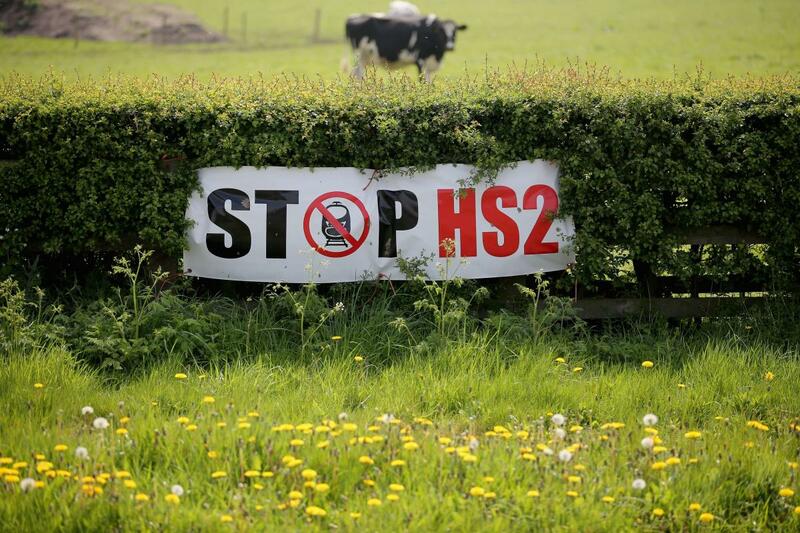 “It is the worst possible compromise because when the studies were done on the value of HS2, they said the first phase was okay, it gives some benefits but it is not fantastic,” he said. “The real benefits come in force when the line goes further on up Leeds on one side, and Manchester on the other. “Actually what they are doing if they do this compromise is undermining the very point of it. The government responded saying that the claims were “nonsense”. A spokesman for the Department for Transport said: “The Sunday Telegraph story is absolute nonsense – it takes statements out of context that were made at an event several weeks ago not attended by the newspaper. Mr Wolmar added that he had always been an opponent to HS2. “I have always been an opponent on HS2 right from the beginning,” he said. “What I would really favour is a sort of network south-east but of the north. It could link Hull, with Leeds, with Manchester, with Liverpool. “All those cities with fast electric trains and that would cost maybe £8 to £10 billion compared to what they are going to spend on HS2.